Based in Bethlehem, Pennsylvania, was once the second-largest steel producer in the United States, after Pittsburgh, Pennsylvania-based U.S. Steel. After a decline in the U.S. steel industry and management problems leading to the company's 2001 bankruptcy, the company was dissolved and the remaining assets sold to International Steel Group in 2003. In 2005, ISG merged with Mittal Steel, ending U.S. ownership of the assets of Bethlehem Steel. Bethlehem Steel was also one of the largest shipbuilding companies in the world and one of the most powerful symbols of American industrial manufacturing leadership. Bethlehem Steel's demise is often cited as one of the most prominent examples of the U.S. economy's shift away from industrial manufacturing and its inability to compete with cheap foreign labor. The company's roots go back to 1857 when the Saucona Iron Company was first organized by Augustus Wolle. The Panic of 1857, a national financial crisis, halted further organization of the company and construction of the works. Eventually, the organization was completed, the site moved elsewhere in South Bethlehem, and the company's name was changed to The Bethlehem Rolling Mill and Iron Company. On June 14, 1860, the board of directors of the fledgling company elected Alfred Hunt president. On May 1, 1861, the company's title was changed again, this time to The Bethlehem Iron Company. Construction of the first blast furnace began on July 1, 1861, and it went into operation on January 4, 1863. The first rolling mill was built between the spring of 1861 and the summer of 1863, with the first railroad rails being rolled on September 26. A machine shop, in 1865, and another blast furnace, in 1867, were completed. During its early years, the company produced rails for the rapidly expanding railroads and armor plating for the US Navy. In 1899, the company assumed the name Bethlehem Steel Company. In 1904, Charles M. Schwab and Joseph Wharton formed the Bethlehem Steel Corporation with Schwab becoming its first president and chairman of its board of directors. The Bethlehem Steel Corporation ascended to great prominence in American industry, installing the revolutionary grey rolling mill and producing the first wide-flange structural shapes to be made in America. 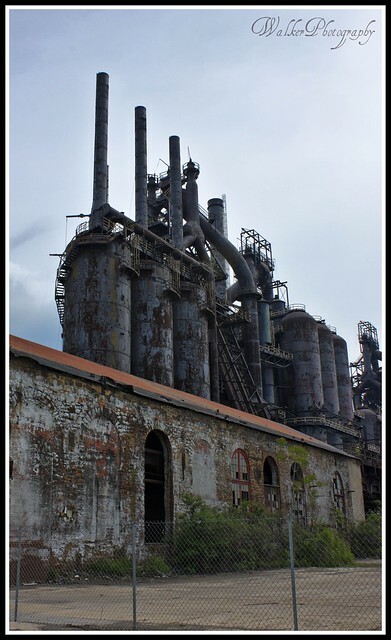 These shapes were largely responsible for ushering in the age of the skyscraper and establishing Bethlehem Steel as the leading supplier of steel to the construction industry. In the early 1900s, the corporation branched out from steel, with iron mines in Cuba and shipyards around the country. In 1913, it acquired the Fore River Shipbuilding Company of Quincy, Massachusetts, thereby assuming the role of one of the world's major shipbuilders. In 1917 it incorporated its shipbuilding division as Bethlehem Shipbuilding Corporation, Limited., also known as BethShip. In 1922, it purchased the Lackawanna Steel Company, which included the Delaware, Lackawanna and Western Railroad as well as extensive coal holdings. Bethlehem Iron Company, as it appeared in 1896, on the south bank of the Lehigh River. Although the company continued to prosper during the early 1880s, its share of the rail market began to decline in the face of competition from growing Pittsburgh-based firms such as the Carnegie Steel Company. The nation's decision to rebuild the United States Navy with steam-driven, steel-hulled warships, reshaped Bethlehem Iron Company's destiny. Among the world's strongest and most innovative maritime forces during the Civil War, the Navy quickly shrank after the end of hostilities, as national energies were deflected toward settling the West and rebuilding the war-ravaged South. Almost no new ordnance was produced, and new technology was neglected. By 1881, embarrassing international incidents highlighted the deplorable condition of the U.S. fleet and the need to rebuild it to protect U.S. trade and prestige. In 1883, Secretary of the Navy William E. Chandler and Secretary of the Army Robert Todd Lincoln appointed Lt. William Jaques to the Gun Foundry Board. Jaques was sent on several fact-finding tours of European armament makers and on one of these trips he formed business ties with the firm of Joseph Whitworth of Manchester, England. He returned to America as Whitworth's agent and, in 1885, was granted an extended furlough to pursue this personal interest. This type of activity marked the beginning of what would, some 75 years later, become known as the military-industrial complex. Jaques was aware that the U.S. Navy would soon solicit bids for the production of heavy guns and other products such as armor that would be needed to further expand the fleet. Jaques contacted the Bethlehem Iron Company with a proposal to serve as an intermediary between it and the Whitworth Company, so that Bethlehem could erect a heavy-forging plant to produce ordnance. In 1885, John Fritz, accompanied by Bethlehem Iron Company directors Robert H. Sayre, E.P. Wilbur, William Thurston, and Joseph Wharton, met with Jaques in Philadelphia. In early 1886, a contract between Bethlehem Iron and the Whitworth Company had been executed. In spring 1886, Congress passed a naval appropriations bill that authorized the construction of two armored second-class battleships, one protected cruiser, one first-class torpedo boat, and the complete rebuilding and modernization of two Civil War-era monitors. The two second-class battleships (the USS Texas and the USS Maine) would have both large-caliber guns (12" and 10" respectively) and heavy armor plating. Bethlehem secured both the forging and armor contracts on June 28, 1887. Between 1888 and 1892, the Bethlehem Iron Company completed the first U.S. heavy-forging plant. It was designed by John Fritz with the assistance of Russell Wheeler Davenport, who had entered Bethlehem's employ in 1888. By autumn 1890, Bethlehem Iron was delivering gun forging to the U.S. Navy and was completing facilities to provide armor plating. "The High House", in Bethlehem, PA, a heat treatment facility for 14-inch (360 mm) battleship guns. During World War I and World War II, Bethlehem Steel was a major supplier of armor plate and ordnance to the U.S. armed forces, including armor plate and large-caliber guns for the Navy. During World War II, as much as 70 percent of airplane cylinder forgings, one-quarter of the armor plate for warships, and one-third of the big cannon forgings for the U.S armed forces were turned out by Bethlehem Steel. Bethlehem Shipbuilding Corporation's 15 shipyards produced a total of 1,121 ships, more than any other builder during the war and nearly one-fifth of the U.S. Navy's two-ocean fleet. It employed as many as 180,000 persons, the bulk of the company's total employment of 300,000. It was Eugene Grace who orchestrated Bethlehem's wartime heroics. Entering 1943, he promised President Roosevelt one ship a day, and ultimately beat that mark by 15 ships. The Burns Harbor, Indiana plant built by Bethlehem Steel. When peacetime came, the plant continued to supply a wide variety of structural shapes for the construction trades and forged products for defense, power generation and steel-producing companies. The U.S. steel industry prospered during and after World War II, while the steel industries in Germany and Japan lay devastated by Allied bombardment. 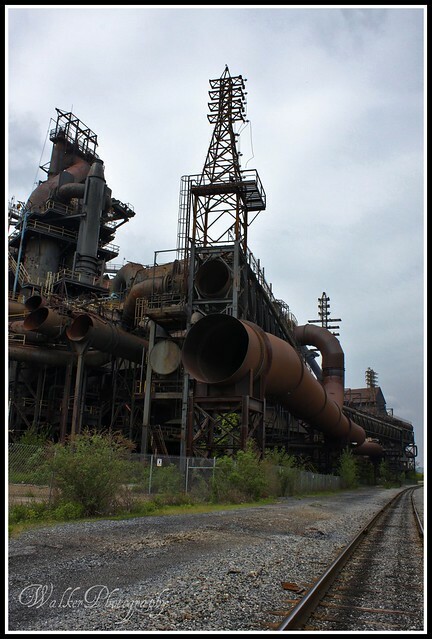 Bethlehem Steel's high point came in the 1950s, as the company began manufacturing some 23 million tons per year. In 1958, the company's president, Arthur B. Homer, was the highest-paid U.S. business executive. The firm built its largest plant, at Burns Harbor, Indiana, between 1962 and 1964. The Sparrows Point Industrial Complex, one of Bethlehem's primary steel making and shipbuilding plants. The U.S. advantage lasted about two decades, during which the U.S. steel industry operated with little foreign competition. But eventually, the foreign firms were rebuilt with modern techniques such as continuous casting, while profitable U.S. companies resisted modernization. Meanwhile, U.S. steelworkers were given rising benefits. By the 1970s, imported foreign steel was generally cheaper than domestically produced steel. In 1982, Bethlehem reported a loss of US$1.5 billion and shut down many of its operations. Profitability returned briefly in 1988, but restructuring and shutdowns continued through the 1990s. In the mid-1980s, demand for the plant's structural products began to diminish, and new competition entered the marketplace. Lighter, lower construction styles, resulting in low-rise buildings not requiring the heavy structural grades produced at the Bethlehem plant. 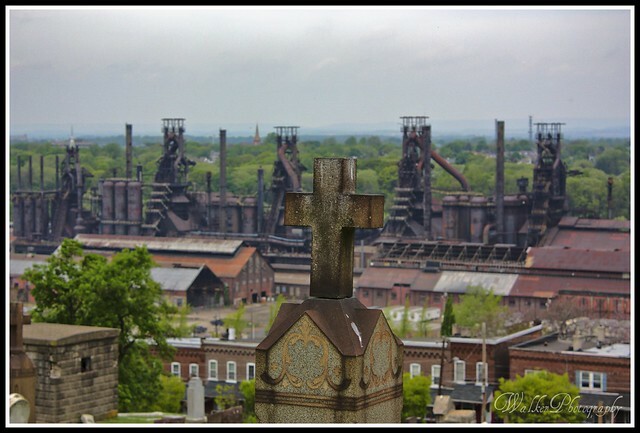 In 1991, Bethlehem Steel discontinued coal mining (under the name BethEnergy). At the end of 1995, it closed steel-making at the main Bethlehem plant. After roughly 140 years of metal production at its Bethlehem, Pennsylvania plant, Bethlehem Steel ceased operations in Bethlehem. 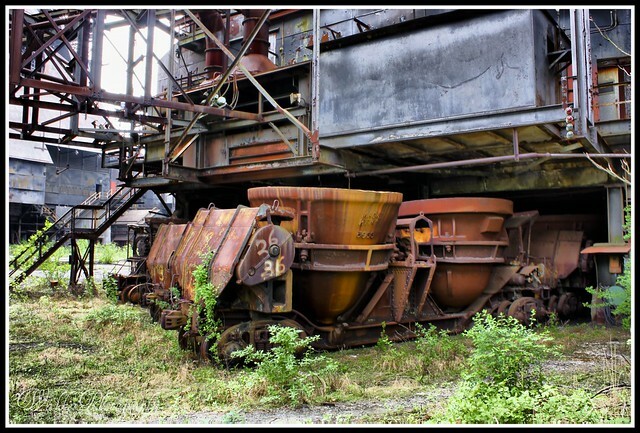 Bethlehem Steel exited the railroad car business in 1993 and ceased shipbuilding activities in 1997 in an attempt to preserve its steel-making operations. Demolition of the original facility in Bethlehem in 2007. Despite the closing of its local operations, Bethlehem Steel tried to reduce the impact on the Lehigh Valley area with plans to revitalize the south side of Bethlehem. It hired consultants to develop conceptual plans on the reuse of the massive property. The consensus was to rename the 163-acre (660,000 m²) site Bethlehem Works and to use the land for cultural, recreational, educational, entertainment and retail development. The National Museum of Industrial History, in association with the Smithsonian Institution and the Bethlehem Commerce Center, consisting of 1,600 acres (6.5 km²) of prime industrial property, would be erected on the site along with a casino and large retail and entertainment complex. 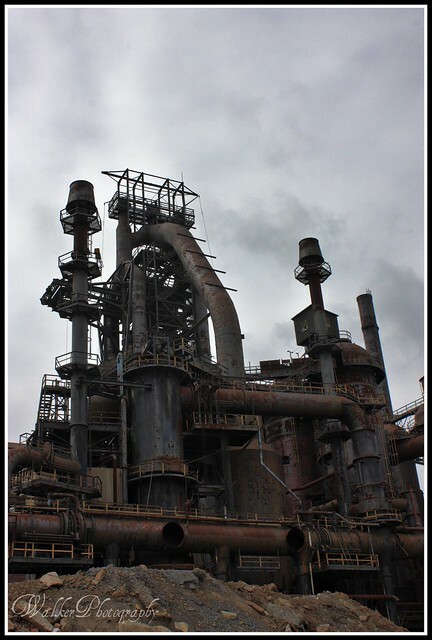 Inexpensive steel imports and the failure of management to innovate, embrace technology, and improve labor conditions contributed to Bethlehem's demise. Critics of protectionist steel trade policies attribute the cause of this lack of competitiveness to American steel producers like Bethlehem having been shielded from foreign competition by quotas, voluntary export restraints, minimum price undertakings, and antidumping and countervailing duty measures which were in effect for the three decades preceding Bethlehem Steel's collapse. 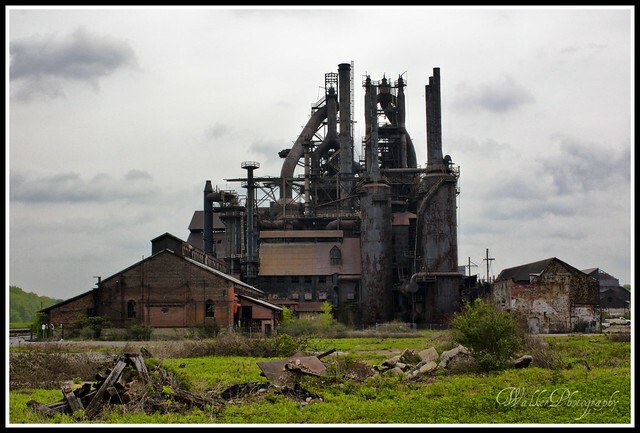 In 2001, Bethlehem Steel filed for bankruptcy. In 2003, the company's remnants, including its six massive plants, were acquired by the International Steel Group. ©® WalkerPhotography & Abandoned New York. Powered by Blogger.